During your New Year celebrations, tradition dictates that you should throw open your doors and windows, symbolically letting the old year out and welcoming the new one in. However, the bitterly cold weather that typically accompanies the arrival of New Year�s Day in the UK is unlikely to make upholding that custom an attractive option! You�re far more likely to want to keep the heat in � and what better way to do that than with brand new windows and doors fitted with double glazing? Once the Christmas decorations have been taken down and packed away, many homes look in need of a boost. You may find that your existing windows and doors are showing their age; they could be warping or cracking, as well as letting draughts deprive your home of warmth and send your central heating bills sky-high. New Year is associated with fresh starts and positive changes. Installing the latest double glazed windows and doors is the perfect way to mark New Year and give your property a stylish makeover. After all, when your home looks fantastic, you feel fantastic. 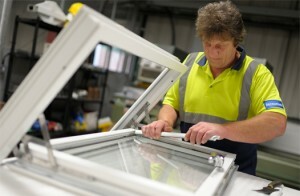 Our windows and doors with double glazing make homes not only more attractive but also more energy efficient. Our double-glazed windows achieve an A* 10 energy rating, so you can be confident that they�ll provide you with superb thermal insulation. Our double glazed doors also achieve an A* 10 energy rating, and so they�ll keep your home warm and central heating costs down too. That�s great news for you, great news for your bank account and great news for the environment. Our high quality, high performance double-glazed products will truly put the �new� into your New Year. They�ll enhance your home�s appeal and need very little maintenance. Our UPVC windows, for example, combine elegance with durability. They�re available in a variety of wood-like finishes, and so whether you own a period property or modern dwelling, we�re sure to have windows to complement its character. 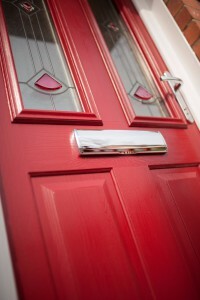 That can also be said of our UPVC doors, which are designed and manufactured to the same high standards as our windows. With our superb double glazing, you can enjoy a warmer, more attractive, happier home. 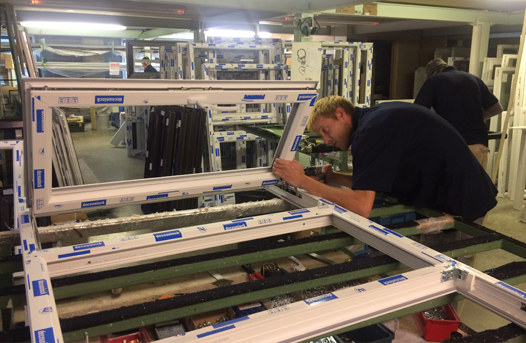 As the largest manufacturer of UPVC windows and doors in the Brighton area, we are experienced double glaziers and have successfully completed thousands of installations. To find out how our products with double glazing can give your home a new lease of life, please call Brighton Trade Windows on 01273 304060 or email us at info@brightontradewindows.co.uk.